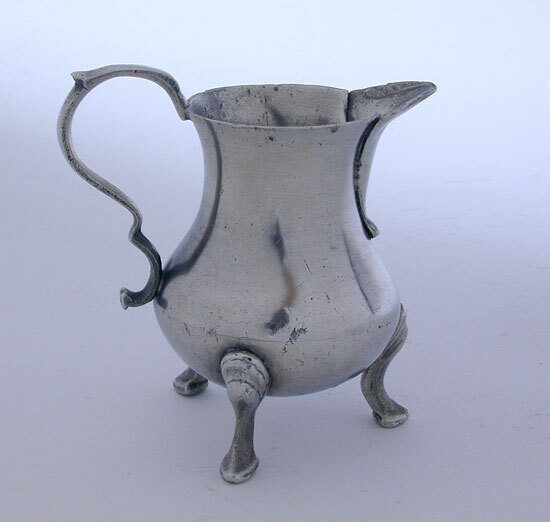 Henry Joseph is known for the variety of teapots, sugar bowls, and creamers he produced.He worked in London from 1736-1784. He was a Master of the Pewterers' Company and also a major exporter to the Colonies. There are at least 7 different examples from early designs to later high Georgian examples. His sense of design and balance are apparent in nearly all of these. 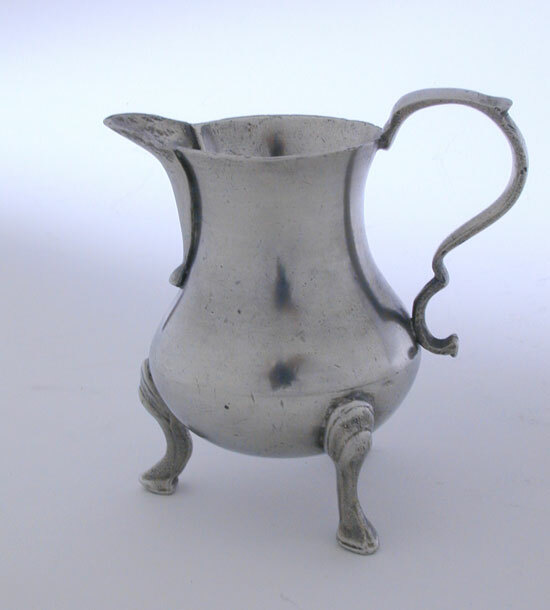 This is one of his earlier designs of creamers or milk pots (as listed in some early purchase orders from pewterers). 3 3/4" tall to top of handle in very good to fine condition with a fine touchmark. The mark is an "H". "I". 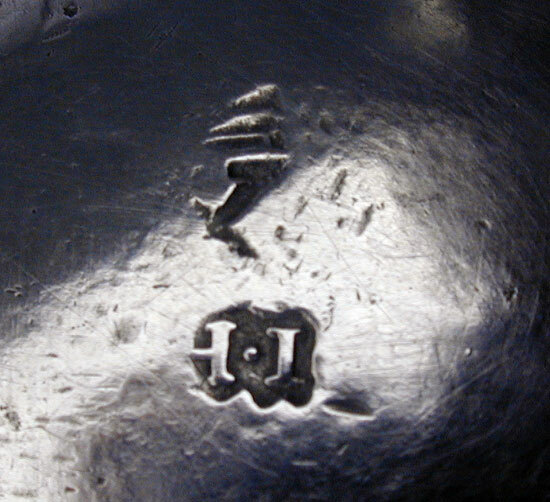 The I was interchangeable for a "J" in the 18th century.